Bucksmont Indoor Sports Center in Hatfield, Pa. It might not be quite what Xtreme Caged Combat originally had in mind when it scheduled the headliner of its 25th event, but Alexandre “Popo” Bezerra remains on the card against a new opponent. 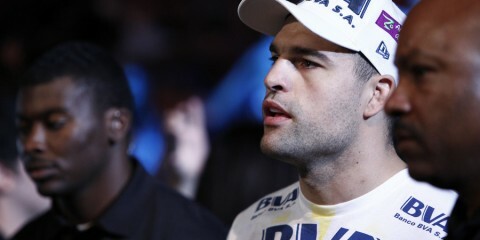 Bezerra was slated to meet Artur Rofi, a 7-1 prospect, in the finals of a four-man featherweight tournament. However, Rofi was forced to withdraw from the bout, therefore leaving XCC to find a new foe for Popo. The Philadelphia-based promotion secured the services of Dimitre Ivy, whose 6-2 record isn’t quite as shiny as Rofi’s mark, but comes pretty darned close. If Bezerra’s name sounds familiar, it’s because it should. The Brazilian had a nine-fight stint in the Bellator organization from 2011-13. 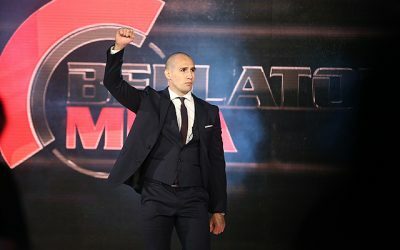 The Daddis MMA Academy product entered Bellator after accumulating an 8-1 record since debuting in 2008. 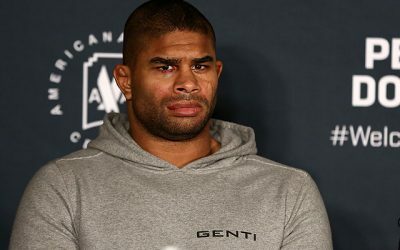 He won his first five fights with the organization, including a featherweight tournament quarterfinal contest against Kenny Foster, before suffering a split-decision loss to Marlon Sandro in the tourney’s semifinal round. He claimed two more victories and advanced to another tournament semifinal, only to lose again, this time to Mike Richman. The loss signaled the end Bezerra’s stay with the organization. He won a regional fight in Brazil and then split a pair of appearances under the Cage Fury Fighting Championships banner, where he defeated Levan Makashvili to capture the league’s featherweight crown before subsequently losing to Makashvili in the pair’s rematch. He then moved to the XCC, where he defeated Frank Caraballo in his promotional debut. The 28-year-old has a background in Brazilian Jiu-Jitsu and was a member of the Brazilian national wrestling team. He has 11 submission wins and five stoppages via some form of knockout. The 26-year-old Ivy enters this fight as a relative unknown outside of his home state of Texas. The Texas Powerhouse MMA export debuted in 2010 and suffered losses in two of his first four pro fights. He righted the ship when he made his first and only Legacy FC appearance in 2013. 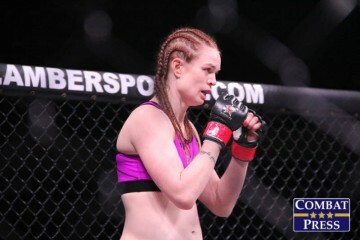 Ivy scored a second-round submission of Matt Mazurek to kick off a four-fight winning streak. His other recent victories, all choke submissions, came under the Fury FC and Hero FC banners. Overall, Ivy has four submission finishes and two victories via strikes. He has only seen the scorecards once in his pro career. Despite Ivy’s lack of star power, this is a very intriguing match-up. Bezerra has a proven track record. He’s only lost to the aforementioned Sandro, Richman and Makashvili, as well as UFC standout Charles Oliveira. Ivy, meanwhile, has a well-rounded game that makes him a significant threat to turn in a breakthrough performance against an established veteran. Ivy is aggressive on the feet, where he can batter opponents with knees in the clinch, and on the ground, where his ground-and-pound and submission arsenals make him an overwhelming force. Popo is obviously no slouch in these departments either. This contest could be an action-packed affair with plenty of momentum swings. Neither man can afford to land on the bottom when the fight hits the mat, because the other is just too good in that realm. It’s just as dangerous on the feet, where both men have proven to have plenty of power and a variety of attacks. The real difference here is Bezerra’s experience. His long stay in Bellator gave him the opportunity to clash with plenty of strong fighters. He even pushed Sandro and Richman to split verdicts, and he submitted Oliveira. While Ivy poses a significant threat, Bezerra is a veteran who is quite capable of stifling his younger opponent’s offense and answering back with plenty of offense of his own. Neither guy is easy to finish, though, so this one might end up going to the scorecards before the Brazilian has his hand raised. 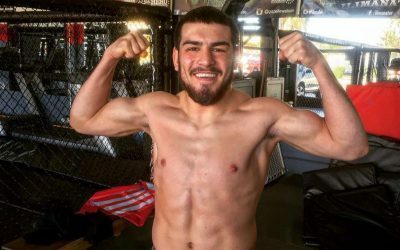 This week is a quiet one for the big shows, but it’s a huge weekend for the lighter-weight prospects on the regional scene, and especially in the bantamweight division. 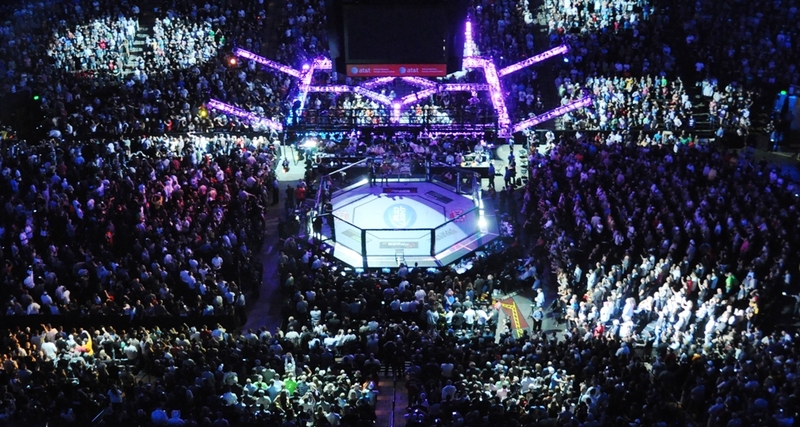 With no offerings from the UFC, Bellator or the World Series of Fighting, CES MMA’s 37th effort takes center stage on American television with its AXS TV broadcast. The show features a mix of up-and-comers and veterans — Chuck O’Neil and Greg Rebello are probably the most familiar names to fight fans — but the spotlight rests on bantamweight titleholder Andre Soukhamthath and challenger Kin Moy. 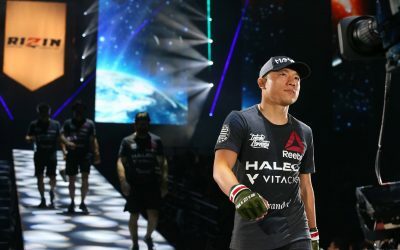 Soukhamthath will be making the first defense of the title he claimed in March when he knocked out Kody Nordby with a flying knee in the fifth round of their championship clash. The 27-year-old “Asian Sensation” had made a long climb through the pro ranks to capture the gold. 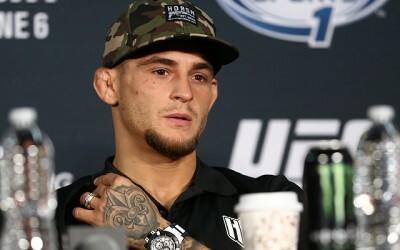 He debuted with a loss in 2011 following an amateur career that included defeats at the hands of future UFC fighter Rob Font and the unheralded — though still undefeated — Frank Sforza. Soukhamthath joined CES for his sophomore outing and went on a seven-fight winning streak. His next setback came at the hands of his current opponent, Moy, who edged Soukhamthath on the scorecards. The Blackzilians fighter rebounded with a victory before dropping another decision, this time against Brian Kelleher. Again, Soukhamthath recovered, first with a win over Carlos Galindo and then with the flying-knee finish of Nordby to capture the belt. Soukhamthath has never been stopped, but he has dished out punishment in the form of six knockout victories and three submission finishes. Moy launched out of the gates in 2012 to a strong start in his pro career. He won his first five fights, including his first four by stoppage. 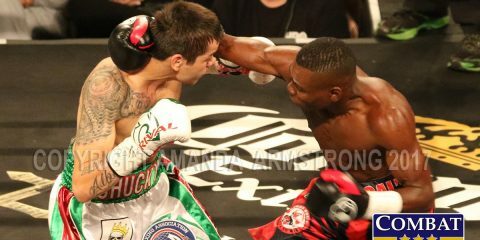 “Kong” then made his Bellator debut in a losing effort against fellow undefeated prospect Steve Garcia Jr. He returned to the regional scene and split a pair of fights. The 26-year-old Moy then returned to Bellator, where he snagged preliminary-card victories over Blair Tugman and Walter Smith-Cotito. Both of his Bellator wins came via choke submission. Overall, the Redline Fight Sports export has stopped five opponents by way of submission and another two via strikes. He has been stopped rather quickly by strikes, too, at the hands of Joey Gomez in a CES MMA encounter. Moy proved to be a stiff test for Soukhamthath in their first meeting in 2014. The Blackzilians fighter was able to seemingly take Moy down at will, but he faded badly by the third round and allowed Moy to gain mount and threaten with submissions. Despite his history of knockout and TKO finishes, Soukhamthath didn’t flash much power against Moy. Instead, he ducked down and scored with his wrestling. The fight was really close, with the first round clearly in Soukhamthath’s favor and the final frame in Moy’s favor while the middle round was up for grabs. If Soukhamthath hopes to win the rematch, he’ll need to better utilize his wrestling to get an offensive attack established. In their prior bout, he could get Moy down, but he failed to do anything significant with those advantageous positions. Moy, meanwhile, turned the tide as the fight progressed and delivered a truly strong showing in the final minutes of the affair. The difference in the fight, however, was Moy’s work while on bottom, where he threw what Soukhamthath has called “baby punches.” Moy’s level of activity off his back was enough to sway the judges in his favor. Soukhamthath can’t allow Moy to score early with those pitter-patter strikes. He needs to force Moy to defend against ground-and-pound barrages from the top. Both fighters have improved since their earlier meeting, but just imagine if that first fight had been a five-round battle instead of a three-round affair. Moy likely would have continued to push on the gas pedal and eventually scored the finish in round four or five. If he can force Soukhamthath to work hard for takedowns and position in the rematch, he could follow the same path and eventually submit the champion. It’s telling that Soukhamthath has struggled against guys like Font, Moy and Kelleher. He’s a strong fighter, but one who still needs to find his way over the hump that is the next level of competition. He stands a better chance of victory in this rematch than he did in their first fight, but Moy’s approach could wear him down. This will be a hard-fought battle, but Moy will go into the championship rounds with the momentum and finish one of his submission attempts this time around. A few years ago, any discussion of Brazil’s regional scene would likely start and end with Jungle Fights and Shoot Brazil. Sure, there have been plenty of other organizations in the country over the years and plenty of great fights, but these two organizations were the top-level feeders to the UFC and other globally oriented promotions. In the present day, Aspera Fighting Championship has joined that conversation. The company’s 43rd offering is a prime example of the level of competition Aspera has to offer. 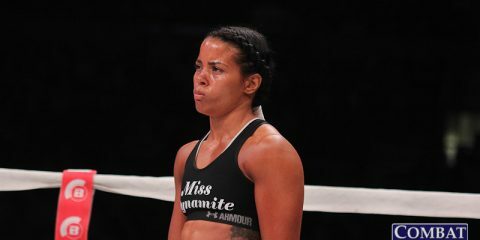 Even with the loss of a contest featuring female standout Janaisa Morandin, the card still has a solid heavyweight title tilt featuring Júnior Albini, prospect Taila Santos in a women’s bantamweight title showdown and the services of UFC and Bellator veteran Maiquel Falcão. Then there’s the often overlooked Luis Rafael. The Brazilian’s 31-1 mark is astounding for a fighter who has never glimpsed the inside of the UFC’s Octagon. He’ll get another chance to impress when he takes to the Aspera cage against fellow bantamweight José Carlos Soares as part of an event that airs on GoFightLive. 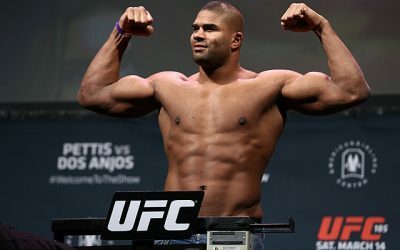 Anyone who sees Rafael’s 31-1 mark would likely guess that the Brazilian fighter is nearing his 30s at a bare minimum. Wrong. “Japa” is still just 23 years old. He started fighting in 2012. In just over four years, he has already competed in 32 professional bouts. The Astra Fight Team product remained unscathed through the first 31 of those contests. Along the way, he notched 19 submission wins and nine victories by knockout or TKO. He’s only seen the scorecards three times, and his loss came via a knockout. That loss was in his most recent outing, a February appearance with Aspera in which Rafael was vanquished nine seconds into the second frame by opponent Fabricio Sarraff, a veteran who entered the contest with a 21-9 record. The veteran youngster has faced quite a bit of questionable opposition throughout his career, but he does hold a 32-second TKO finish of veteran Sidney Oliveira and a first-round head-kick knockout of Caio Rodrigues. “Japa” is most comfortable on the mat and will even pull guard. He’s an aggressive fighter who hunts for finishes. Soares is on par with the aforementioned Oliveira as one of Rafael’s most accomplished opponents. He has been fighting professionally since 2005 and has 23 pro bouts under his belt. The Noguchi Team export’s longest winning streak lasted seven fights, but he is 3-6 through his last nine outings. “Metal” has five wins by some form of knockout, six submission victories and four decision wins. His losses have come via the judges on six occasions. He has been stopped by submission three times and by way of a doctor’s stoppage TKO once. Soares is a strong veteran opponent for Rafael, but he seems to be in line with Rafael’s other record-building crop of opposition. Soares is susceptible to submissions, and Rafael is a guard-pulling submission specialist. 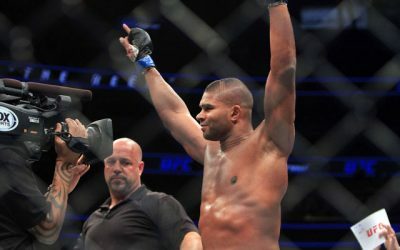 The recipe is certainly there for another finish for Rafael, but how long before Bellator or the UFC finally takes notice?